Our student outreach event this year was a great success! This is our second year focusing on student outreach, where six OSU students participated in mock-interviews and portfolio reviews. We had four studios participate this year! Thank you to @mayerreed, @zgfarchitects, @anderson_krygier_inc, and @plusandgreaterthan for opening up your studios and hosting this event. A special thank you to Mayer/Reed for hosting the lunch and to Kathy Fry of Mayer/Reed for coordinating this event. 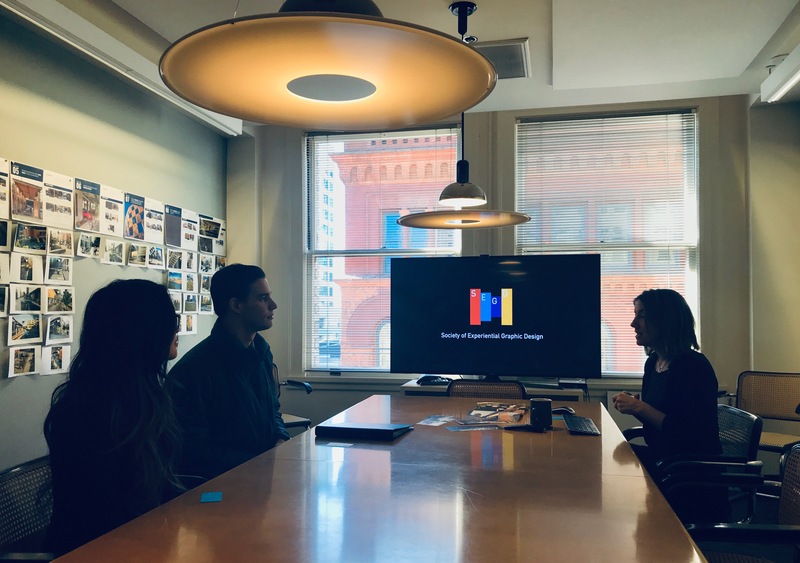 At the lunch, one student commented about the experience, "It has been wonderful engaging with different types of studios, the varying environments allow for different kinds of collaboration." 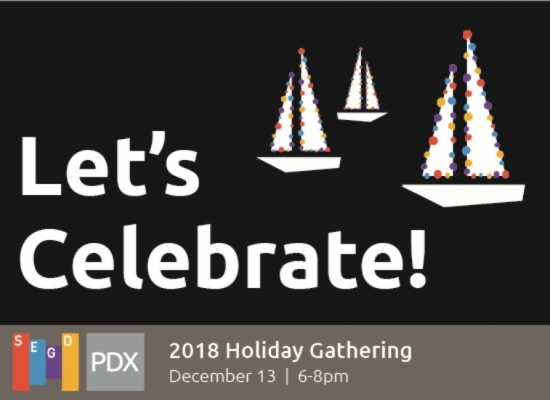 This time, SEGD PDX is inviting a small group to gather with us at McCormick & Schmicks Harborside to toast the season and plan for next year’s chapter activities. We can then stroll outside along the Willamette to watch the Christmas ships go by. Appetizers and drinks will be provided and there is Streetcar service and a parking garage nearby. 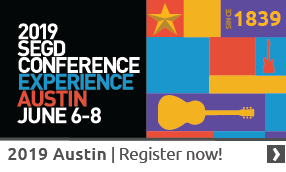 While the memories are still fresh from this year's SEGD Conference, let's gather and share our fun stories, key takeaways, and invaluable inspiration! 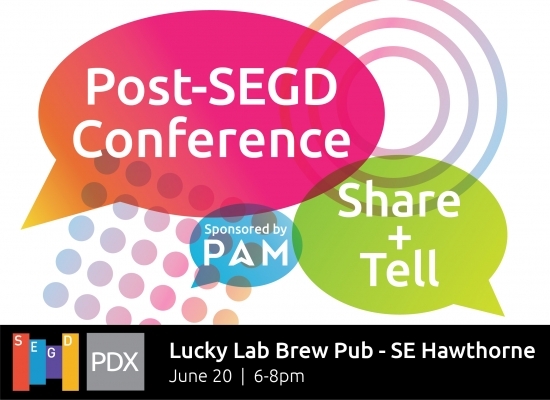 This event is free and open to SEGD Members, Student Members, and friends of the SEGD PDX community. RSVP is not required, but is definitely appreciated. Oh yeah - and food and beverages are on us! A big thank you to this event's sponsor - PAM Wayfinding - and to everyone who has come to our events over the years to support the Portland EGD community! Note: A short video introduction to PAM Wayfinding will be shown during the event. 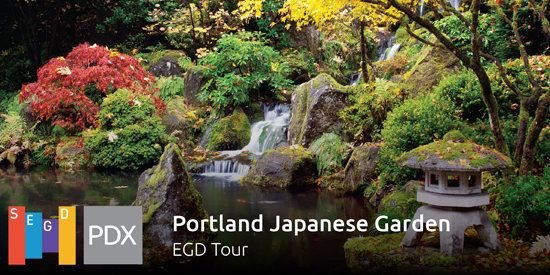 Join us on an EGD-focused tour of the beautiful Portland Japanese Garden! With the recent expansion by world-renowned architect Kengo Kuma and renovation of the grounds, there is new interpretive, wayfinding and identity signage to celebrate! As we meander through the garden, Abby-Sophia Alway of Anderson Krygier and Scott Myers of Center Pointe Signs will share their process of designing, fabricating and installing the new EGD experiences. During and just after the tour, we hope to engage the attendees in a Q+A session and conversation. Light snacks and refreshments will be provided. Garden admission is included in the event fee, and attendees are welcome to continue on self-guided tours of the garden following the event. A big thank you to this event's sponsor - Center Pointe Signs!